Nowadays, the way internet marketing is shaping up, enterprise portals are not only fixed to content management only, rather, they have moved to stout software architecture in today's modern are where internet is like a staple thing for all. Portals are the applications of web that assemble information via different sources. Enterprises always keep trying to find different solutions to improve their presentations and do something new from the routine, whether it is by using the IT solutions or through advertising. 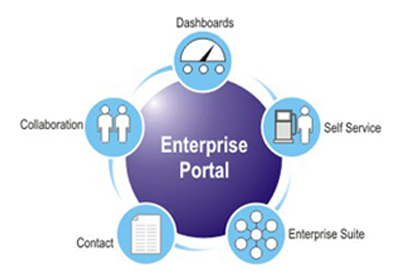 An enterprise portal allows both the internal and external clients with modified and incorporated web solution. We are the best in portal services, whether it's designing, developing or hosting to promote B2B, B2C portals. Our expertise lets you build enterprise portals that come together with proper content distribution, channeled information access, full collaboration and complete workflow management. Design club india portals are really scalable and suitable for every business. We satisfy every business need. We work very intimately with the client to determine their business necessities and only then we propose a business strategy, take their authorization on it, and then build up a tactic for the implementation of the portal. Integration with various business applications like CRM, ERP, etc. So, come to the Desgin club india, our team of enterprise portal developers will serve you with the best of the services.